We asked the Skechers Canada team to share some cool travel ideas for visitors to their great country. 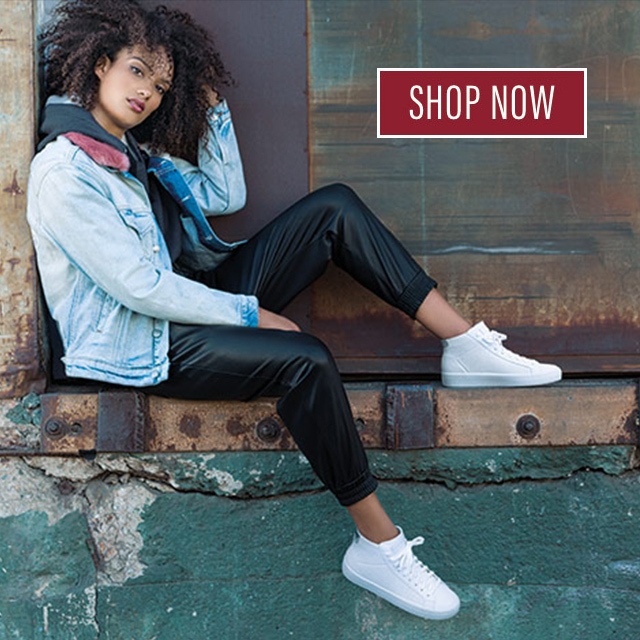 And as you can see in the photos, there’s a Skechers style for every aspect of this adventure–you’ll find all the specific styles featured at the end! Canada is finally in summer mode, and we can’t wait to get going on our favorite outdoor activities. With summer being such a short season for us Canucks, we do our best to spend as much time in the great outdoors as possible; exploring our vast lands that offer picturesque scenes of mountain peaks, wheat fields, wine regions, waterfalls and more! Canada is a huge country with lots to discover and we are excited to share it with you. But we should mention that it’s a lot nicer to experience in person, so make sure to come on over/up this season and say hi! We have a soft spot for Southern Ontario. With beautiful beaches that line the Great Lakes, award-winning wineries you can treat yourself to and northern cottage countries that go on for miles, we have it made and it’s a region that deserves some boasting. Although some people only recognize Hamilton as Ontario’s steel town, it’s incredible to note that it is actually the home of more than 100 waterfalls and big or small, they are all worth a visit. Waking up early when the world is still quiet and all you can hear is the water crashing onto the rocks is the best way to experience these natural beauties. If you’re a wine lover but can’t make it all the way to Okanagan, BC to fill up your glass with some robust reds and sweet whites, then Niagara’s wine region is the next best place to be. Some of these wineries may not be as big as you’re used to, but the small-batch collections are carefully crafted and are so tasty you’ll start taking Ontario wines seriously. The region is so abundant we’ve even got Mike Weir and Wayne Gretzky getting in on the action! Who can resist a glass from The Great One and the 2003 Masters champ? And when you feel satisfied from all the wine and cheese, don’t forget to make a stop at Niagara Falls where you can admire one of the Seven Wonders of the World and enjoy a colorful and eclectic stroll up Clifton Hill. Our Great Lakes — Superior, Huron, Michigan, Ontario and Erie — make up the largest body of fresh water on Earth, accounting for one-fifth of the freshwater surface on the planet. Lake Ontario is the smallest of them all, but one of the greatest metropolises in Canada (Toronto, ON a.k.a the 6ix) runs along the shoreline as well as a curious little neighborhood full of colorful beach/gingerbread houses in Grimsby, ON. It’s amazing what we have in our own backyard and we find it easy to call Lake Ontario home. And of course, while we get our feet wet at the waterfalls and admire the summer sunsets over Lake Ontario, we’ve always got our SKECHERS on to keep us comfy from morning to night. If you’re thinking about traveling to Canada but want to explore outside of the Southern Ontario region – no problem! Look forward to enjoying some stunning mountain views in Squamish, BC, some incredible rivers and lavender farms in Montreal and quaint fishing ports in the beautiful and always hospitable Twilingate, NF. No matter what you love to do, Canada has something for everyone! Check out all the styles we wore on this adventure! Seen in the images above from top to bottom—Reggae Loopy and Redemption sandals, Luxe South Coast BOBS, Bright Horizon sport bungee with the comfortable Memory Foam insole, BOBS Plush Dream Doodle flats, GOVulc2 Definite sneakers and our favorite women’s Hi-Lite style.